Lee Library at Chatham Hall: 70's Night in the Library! 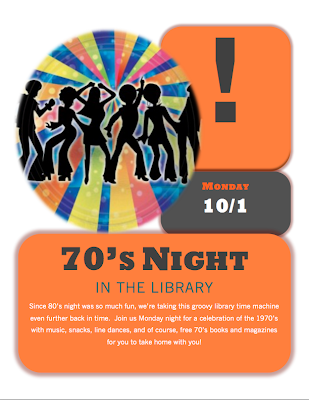 70's Night in the Library! If you didn't make it to 80's Night, you'll definitely want to plan on coming to 70's Night. It's going to be totally groovy! 80's Night in the Library!